The community of Berea, which sits at the base of Parris Mountain, opened its first school in 1885 on White Horse Road. The two-room building served students in the lower grades. After receiving accreditation to become a high school in 1911, the school recruited older students as well. However, due to low enrollment of students in the upper grades, Berea High School lost its high school accreditation by 1914. In 1916 the school relocated to its present location on Farrs Bridge Road and built a new facility. The new school stood two stories and housed four classrooms downstairs and two classrooms and an auditorium upstairs. By 1924 Berea was reinstated as a high school, and its first graduating class received diplomas in 1927. The second school was replaced by the brick building seen here. It was completed in 1939 by the Work Projects Administration, a work relief program and agency of the New Deal. The new school served students from grades one through twelve and quickly became the heart of the community, boasting a winning basketball team that played for the State Championship in 1940. Other buildings such as the ones seen below were added to the school grounds over the subsequent years. In the early 1950s, the community of Berea transitioned from rural to suburban, and many residents began commuting to Greenville for work. By 1951 the Greenville County school system had consolidated area schools. While Berea High School remained in operation, the consolidation eliminated Berea’s local trustees. The school was then managed at the county level. A new Berea High School opened in 1961, and the former high school became an elementary school. The elementary school operated until 1998 when a new elementary school was built. The old school was then used by Greenville Technical College from 2000 until 2009. The building and surrounding property were listed for sale following the exit of Greenville Technical College. 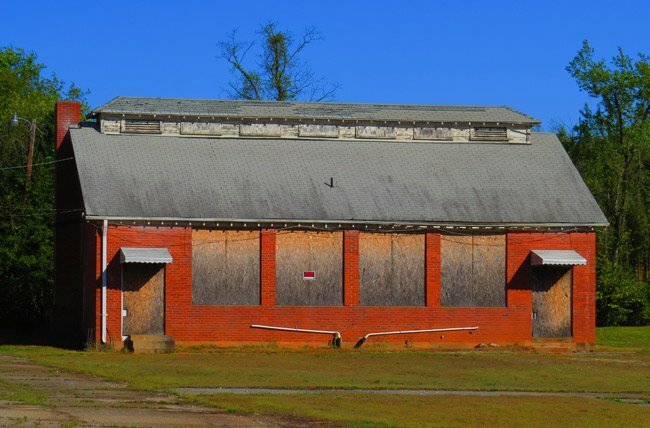 In 2015 a commercial development company from Florida attempted to buy the property in order to convert the land into retail space; the plan included razing the former school and its surrounding buildings. 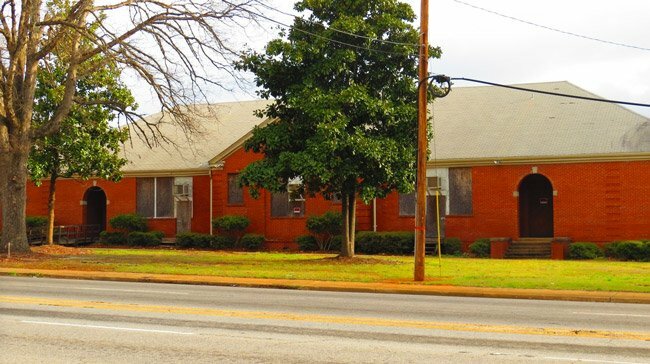 However, the developers did not close on the property when their request for rezoning was denied, and in early 2016 Greenville County announced that it had made an offer on the building; in May of 2016 the building was sold to the county. 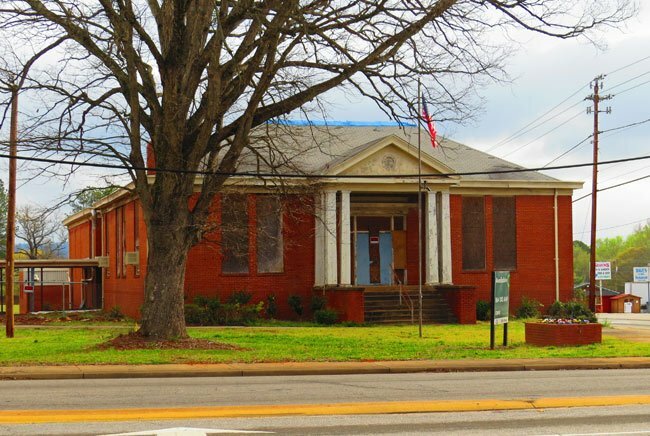 The Berea community, which opposed the demolition of the former school, hopes the building will be restored for use as a senior or community center. Hey Scott, that sounds like an exciting prospect! 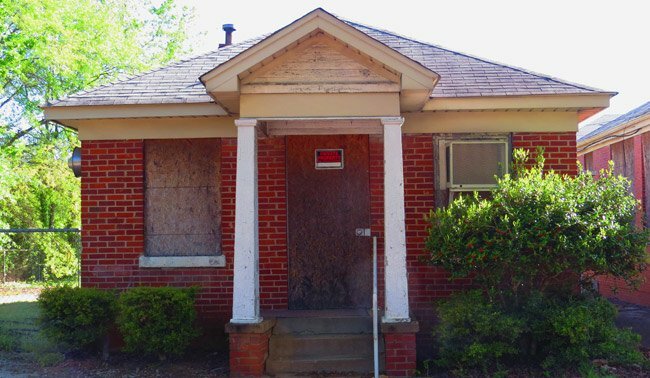 We took a quick look at tax records and the property is shown to be owned by Greenville County. You should be able to contact someone at the county administrative offices who has some authority over such permissions. We hope this helps your search in some way! Ken Griffin, my father was a school teacher there up to 1961 before it moved to the current location. I don’t know how old you are and what year you went to school there but I was wondering if you had known my father? His name was James Cooper. Thank you so much for sharing, Ken! I love this school. It has so many memories. My Dad worked on the WPA that helped build it.I went to school there.